All those who are on the lookout for a driving career can now take a sigh of relief. 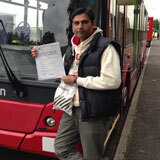 GP training, London is here to fulfill your dreams of becoming a full-fledged driver and getting a bright future. As a driver nowadays you can earn a pretty good living because a multitasking driver, well versed in driving a variety of vehicles is nowadays in great demand. 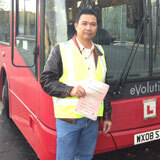 Hence the significance of obtaining LGV (HGV) Training, PCV Training, Driver CPC Training is even more these days. 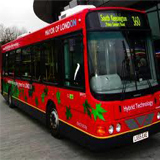 GP Training in Canning Town, London perfectly understands this need of the hour and hence came up with offering world class driver training modules to shape the best drivers who drive cautiously and carefully. 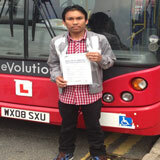 GP Training at Canning Town, London promises driving lessons by experts, DSA checked and tested instructors. We can proudly assert that all our trainers are thorough proficient ones, who are well versed in their jobs and are even able to teach in a variety of languages. GP Training is well known for employing only trained ADI (i.e. 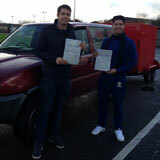 Approved Driving Instructor) who are only registered with DSA (i.e. Driving Standards Agency). We will make sure that you will have the best driving instructors and driving experience in the country and are capable enough to teach you the techniques of driving safely and perfectly. We also give out full driving instructor training, PDI and ADI franchises, Pass Plus, Teaching Lessons, Driver Confidence, B+E Training, Motorway Driving Lessons etc. along with the regular driving lessons. Classroom studies and text books and even tests can be attempted in various languages. Many places such as Berkshire, Maidenhead, Surrey, Buckinghamshire, London, Slough etc are also endowed with the services of GP training London. Learning to drive need not be in old worn out vehicles anymore. We have engaged a fleet of new vehicles with dual control for your facility so that learning driving is a hassle free process for you. Different categories of training programs designed by GP Training , is listed below. In LGV(HGV training) there are various options to choose likeC1 + E – license, C1 – License, C – up to 32 tones, C + E Truck and Trailer, B+E car and trailer, C1 + E- license 7.5t and trailer training. This again depends on the requirements and weight provisions vary in each type. You will have choices of Heavy Goods Vehicle and Large Goods Vehicle driver training program. Do not forget to make not that it is only for heavy load carriage needs. Additional CPC otherwise known as Certificate of Professional Competence for LGV and PCV drivers is nowadays made mandatory. Being a driver, you must be looking forward to have a CPC certification! 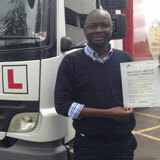 CPC driver training you get from us is completely useful and highly functional for a bright future as a driver. 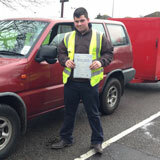 The cpc driver training includes the CPC theory test, which is divided into the 2 parts-a theory and a practical. Theory part is again divided into 2 including the hazard perception test. For assessing driver expertise, there is a CPC case study. A real on road practical test is our specialty. But before that you need an optician’s authentication of your eye sight which is indeed mandatory. All the rest of the documentation procedures which is required for the driving learning license as well as the paper work will be taken care of by us. We will help you in completing the Medical Form and Provisional Entitlement Form (D4 and D2 respectively i.e. Driver CPC Module 4 and 2). After completion of these forms, it will be forwarded to the DVLA. 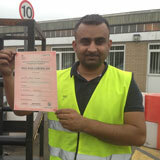 The driver CPC modules at GP Training Canning Town, London are also very useful for all budding drivers. It was introduced by DSA for the new drivers for instilling a great confidence for the current driving abilities and also to make them master all the new road rules and driving laws. You will also get the pass protection and also PCV pass protection services too! Re-appearing in the tests even if fair to pass your exams is not an issue once you sign up with us. Also, don’t worry about losing your money as GP Training offers refund options! GP Training Canning Town, London is the fitting place to start learning how to drive and to attain a provisional driving license. Wait no more! Come to us and experience the best driving stint!